I think you are doing a great job! I love the events you throw. I do wish the dog run was more consistently stocked with bags, especially on the weekends. I think the front office is super helpful. Always really responsive to emails and nice when I see them in the halls. Sometimes I would like the emails to be clearer. The best apartment we've ever had, great staff and facilities (like the gym, barbeques, and pool) and they do a great job creating a sense of community! Device has bee great and staff has been super responsive to needs. Emails are returned ina prompt fashion. General cleanliness is excellent within common areas. Very helpful and attentive staff! Keeps the space clean and organized, always have the residents well being in mind to make sure their requests and questions are answered. Great! I sometimes don't get updates when the elevators will be closed for when new tenants are moving in or when maintenance will be entering for routine checks. Overall circa 922 to a great place to live. Still find issues with lack of door person since later deliveries are either not delivered or left out in the open. Great place to live. Very responsive staff to any issues. Plenty of community events. Common areas are kept super clean. Package concierge program is especially convenient if you travel a lot. The new management staff has turned this place around. The entire experience has been enhanced and every person I've interacted with on the team has been more than courteous. This is a nice building with a great location and the staff are very responsive. I appreciate the amenities and hope that they continue to improve. I have loved our stay on The Printer's Loft side. There are definitely things that I think could be communicated better across the board but we love our home & the West Loop. Great! Love living here. The amenities are great and always taken care of. The staff is very nice and always willing to help however they can. And they listen to residents and look to improve the property. I love my unit, but there are some things with the common areas I would like addressed. 1. The workout room is always too hot despite requests to turn it down 2. The roof deck is closed all winter, even when the weather is nice. 3. I would like the doorman back ( although I know that isn't going to happen), most other new buildings in the West Loop have it and it is a big must have for me. Coffee machine is often empty. Very clean. Maintenance is timely. Don't like that garage is being rented out to non residents. People often leave bike room open and doors into building open so it is easy for strangers to enter. 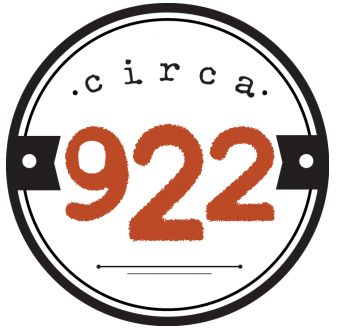 I enjoy living at Circa922 -- much more since Lincoln took over as property manager! The staff is attentive and prompt in responding to questions and/or issues. Overall outstanding experience. I moved into a printers loft unit in June of 2015 and couldn't ask for more. The management staff goes above and beyond to make the building feel like home. So far I really enjoy living here. Maintenance has been very quick and the leasing office has been helpful. I'm hoping to enjoy my next year here. So far our experience at Circa 922 has been first class. The building is clean and well-kept. The leasing office and maintenance employees are friendly and helpful, Also, the activities put on by the building are nice to have, i.e.) Halloween candy, Panera breakfast snacks, & dinner samples. Not only is my apartment lovely, but the common spaces are quality with plenty of options (like a coffee machine and a pool table.) every common area is always clean and presentable. I've never had an issue with anything not working except for the thermometer on one the of grills, which to me is minuscule. Now that I've already signed my lease and have been living here for a couple of months, I'm loving it and enjoying the perks! The only thing that I would change about living here is the garbage situation. It is smelly and there should be a better way to deal with it. Otherwise, I love it here! The best leasing/mgmt office I've had in Chicago in ten years. Overall responsive and helpful. The on-site building staff is incredibly fast and good at fixing things in the apt, too. The residents and management team are always friendly. The best part of Circa are all the perks that come along with living here. Lincoln club is amazing, we eat out at the restaurants on the list multiple times a week. I also joined CAC West Loop and take classes at Pure Barre- both places I got huge money saving perks at! So far we haven't had any maintenance problems yet, but technology issues we've had, the management team or fellow residents have been very helpful. Only complaint so far is minor- we are on the first floor unit in the corner next to the elevator. We can hear people come in and out as well as the residents using the community lounge. It would have been helpful to have a warning but luckily it doesn't bother us, especially when watching tv and playing music. We just moved in about 3 weeks ago. So far living experience has been good. Maintenance requests were answered quickly. The building is quiet and clean. Loved living here so far! Everyone is very helpful and the neighbors are great. Problems are fixed right away and questions are answered promptly. Cannot beat the location!